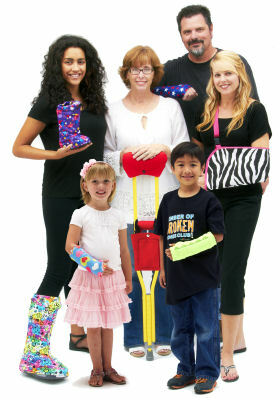 It's easy to shop on-line with CastCoverz! Simply locate the item(s) you would like to purchase, enter the quantity of the item, select any options and press the "Add to Cart" button at the bottom of the fabric and/or product options. The item(s) you select will be added to your shopping cart. You can always view your cart by clicking on the shopping cart icon in the near upper right. Once you've completed your shopping, you may begin the checkout process. To begin the checkout process, click on the "View Cart / Checkout" link at the top right of each page or the "Your Shopping Cart" link at the bottom of each page. A shopping cart review page will be displayed where you will be able to review the items in your cart and be able to change item quantities or remove items from your cart. If you've forgotten something, you can press the "Keep Shopping" button and you will be taken back to the last CastCoverz! page visited. Items in your shopping cart will remain in your cart. Or, when you are ready to checkout, simply press the checkout button to complete the process. In-stock items ordered before Noon (PST) Monday through Friday (excluding holidays) are shipped out same day! Please allow another 1-2 days for custom orders. We are not able to accept international orders online. To order outside the United States, please call us at 1-800-227-8268 or 1(831) 636-3500. Of course, you can also place your order by phone by dialing 1-800-227-8268 and speak with one of our Customer Happiness Gurus! EXCHANGES and RETURNS ARE EASY! Most items* can be exchanged or refunded when returned in unused condition, but it needs to be received within 30 days of order date. Simply contact CastCoverz! Customer Happiness Gurus, toll-free, 1-800-227-8268 to begin the Exchange or Return process. *sorry but used, international, custom and/or personalized orders are final sales and cannot be returned or exchanged. Exchanges: We are very happy to make exchanges*! You have up to 30 days from order date to initiate an exchange. We will send out your exchange and a free Self-Addressed Stamped Envelope to return the unused item(s). Now, that's convenient! All you have to do is pay the shipping for the item(s) you want exchanged. *sorry but used, international, custom and/or personalized orders are final sales and cannot be returned or exchanged. Return/Refunds: You will need a Return Authorization Number to receive credit. Simply contact CastCoverz! Customer Happiness Gurus, toll-free, 1-800-227-8268. Once your item as been returned in the original product package, in resellable condition (not used, smoky, ...) and received within 30 days from date of purchase, credit will be cheerfully issued for the product(s) returned, less discounts and/or S&H. Your refund will be processed within 1 week of receipt of your package. Please note it can take 5-10 days for your processor to credit your account. Sorry, but all sales are final for destinations outside the United States. CastCoverz! waterproof products, AquaShieldUSA, must be sized carefully to work properly. If possible, remove rings and watches prior to wearing as they have been known to catch and tear the fabric, making the product ineffective. Lightly sand any sharp edges with an emory board or fine grain sandpaper. DO NOT COMPROMISE THE INTEGRITY OF YOUR CAST. Please use care when applying any cover over your cast or brace. Sharp fingernails and excessive pulling will rip/tear the material. Take precaution when wearing it, too. Brushing against sharp objects will cause ripping/tearing. Unfortunately, user error doesn't qualify as a defective product and can't be returned for credit. Take care of your waterproof product and it will take care of you! :) If the product is returned unopened and unused within 30 days from order date, a refund will be cheerfully issued. However, due to manufacturer's requirements and that it is a healthcare product, we're sorry, but CastCoverz! cannot accept or refund opened or used AquaShieldUSA products. If you have any questions about your waterproof product or if the product is defective, do not use and call us immediately at 1-800-227-8268.